Betty has over 35 years experience as a CEO, Entrepreneur, and Leadership Consultant. She is the CEO & Founder of LIFTOFF LEADERSHIP LLC and a Partner with Berkana Consulting Group. Her resume includes establishing and leading six companies in vacation rentals and aviation including one that went public(NYSE). She holds a commercial pilot’s license and is ATP rated. 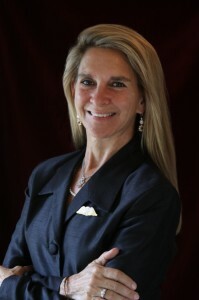 In addition to flying, she developed and led two regional airlines, SouthEast Air and SeaAir in her commitment to commercial air service for the OuterBanks of North Carolina and served on the Board Directors of Cape Air . Betty is a featured speaker nationwide at leadership, management, and entrepreneurship conferences and corporate programs. She is an accomplished and savvy media interview in her field. Her book, LiftOFF Leadership, 10 Principles for Exceptional Leadership (Beaufort Books ) was released nationally in October 2011. The book explores the failings of a leadership model that overemphasizes numerical success and calls for a return to the fundamental values that have consistently and historically underpinned mankind’s most significant positive endeavors. Betty graduated in the first class of women at the University of Virginia, attended the Mason School of Business at The College of William & Mary and completed her MBA at Virginia Commonwealth University in Richmond, Virginia. She and her husband Chris Hyland live and work on Ocracoke Island and Black Mountain, North Carolina.